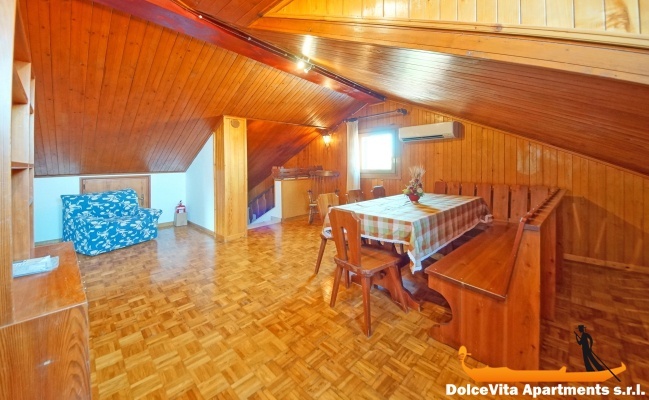 Apartment N. 351: It can accommodate up to 3 people, it is rented from 100 € per Night (not per person). 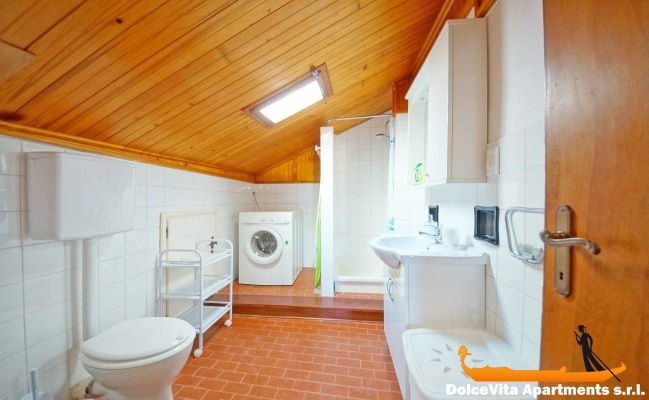 Cheap Apartment Venice Cannaregio Internet: This attic apartment can accommodate a maximum of 3 people and it is situated in the centre of Venice, in the Sestriere of Cannareggio (namely, district of Cannareggio). 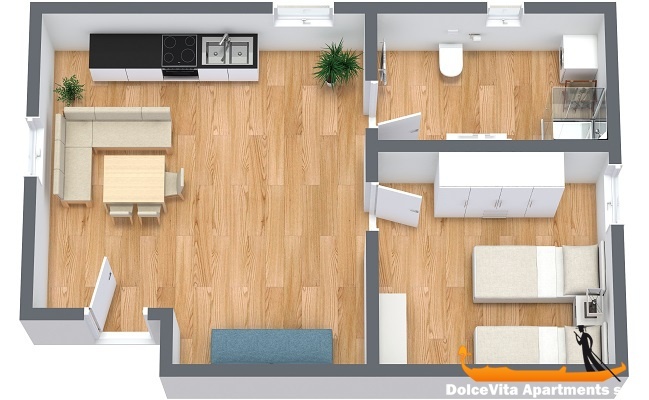 It is on the fourth floor and consists of a living area, one bedroom and a bathroom with shower. 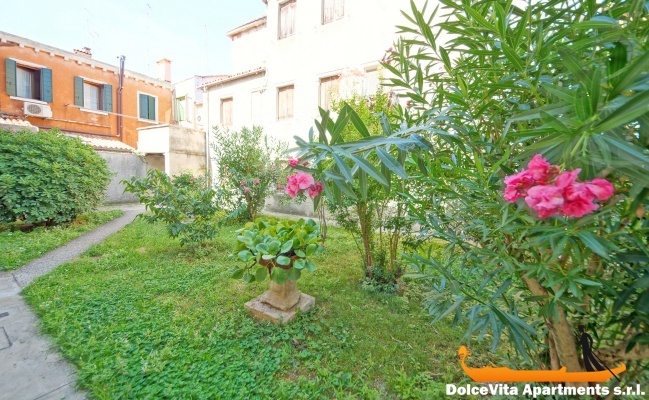 In addition, the apartment features a lovely shared garden. 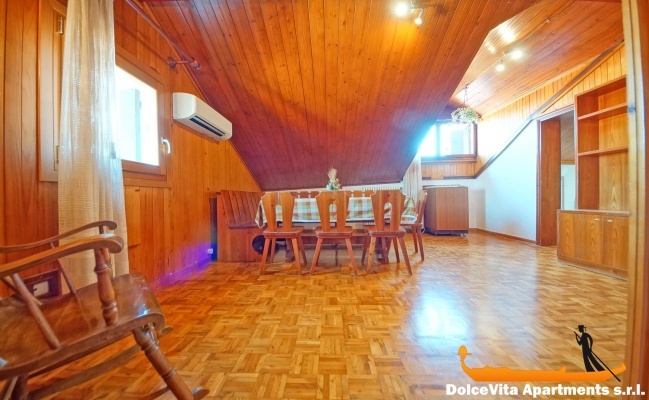 This vacation home comes equipped with Wi-Fi connection, air conditioning and heating system. Among the appliances, the house comes with a refrigerator and a washing machine. 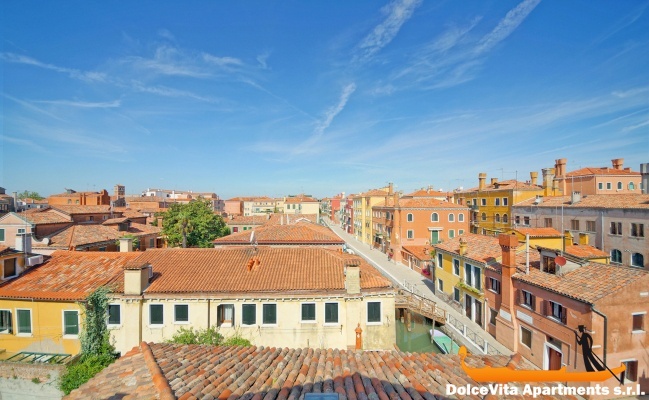 Moreover, guests are provided with clean bed sheets, blankets and towels and they can enjoy a beautiful view of the underlying canal and the rooftops of Venice right from the windows of the house. 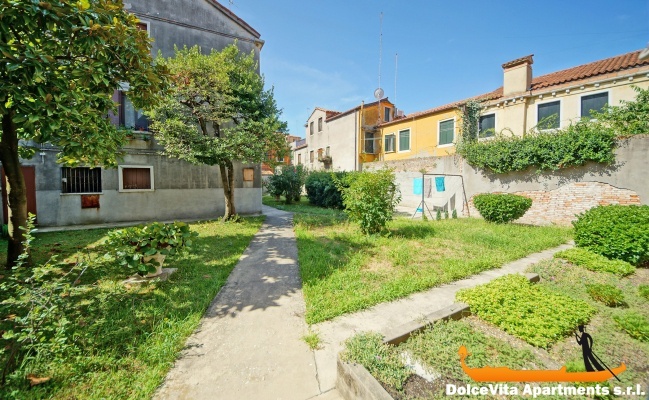 The apartment is only 5 minutes’ walk from the renowned Ponte delle Guglie (namely, Guglie Bridge) while it takes only 10 minutes to reach the magnificent church of Madonna dell’Orto. 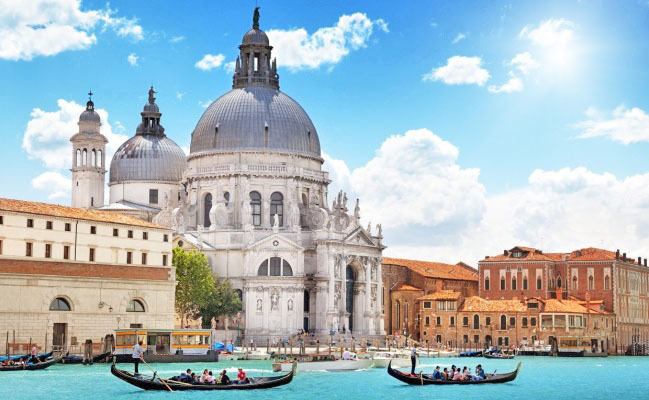 Inside this church many paintings are enshrined: you can admire some of the best artworks by Jacopo Tintoretto and the ancient altarpiece of St. John Baptist with Saints Peter, Mark, Jerome, and Paul by Cima da Conegliano. 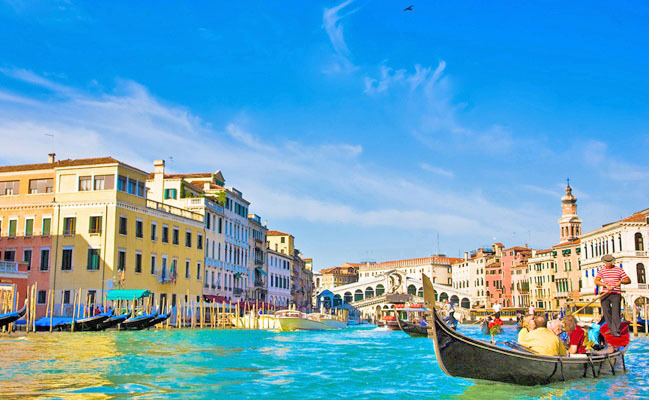 Transport-wise, you can easily move to other areas of the lagoon by Vaporetto (namely, ferryboat). 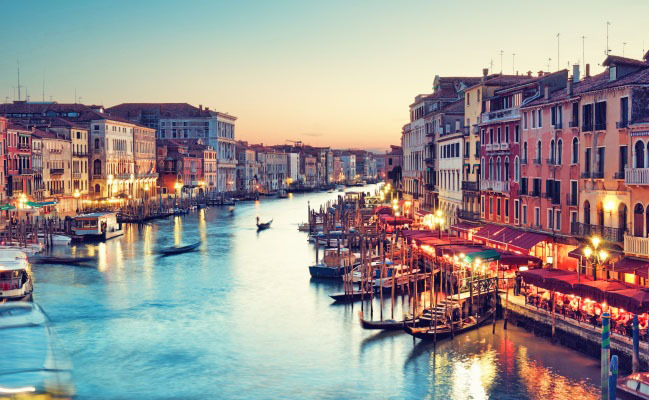 The closest Vaporetto stop is “Guglie” and it is only 300 meters from the apartment.